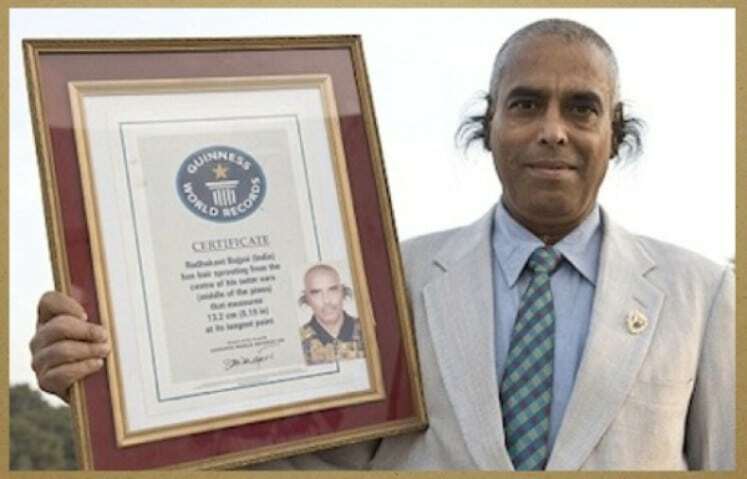 This guy is holding the Guinness World Record for having the longest ear hairs. His ear hairs measure up to 7.12 inches which he is truly proud of. That is a very unusual success for him. When I say eyelashes, I mean the real thing. 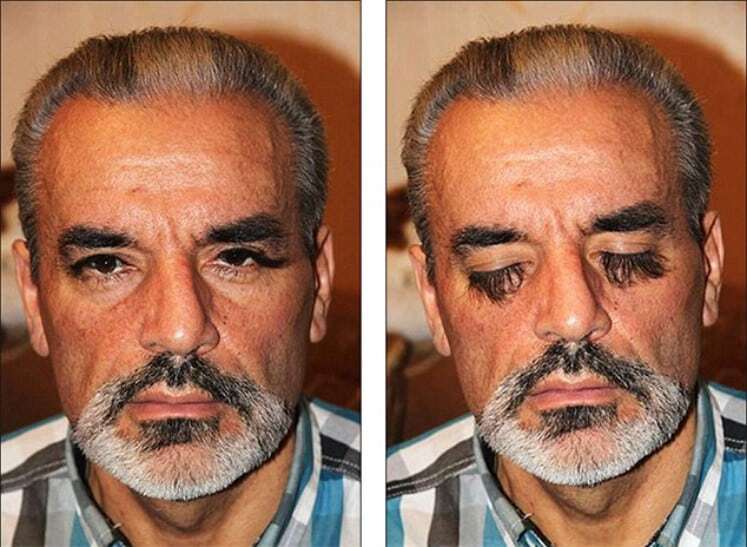 This man must be so proud for growing incredibly long eyelashes. He beats even the famous celebrities and supermodels! His pairs are 2.75 inches sleek! This guy has achieved something big. No, really, it is so big it can fit a whole fist! 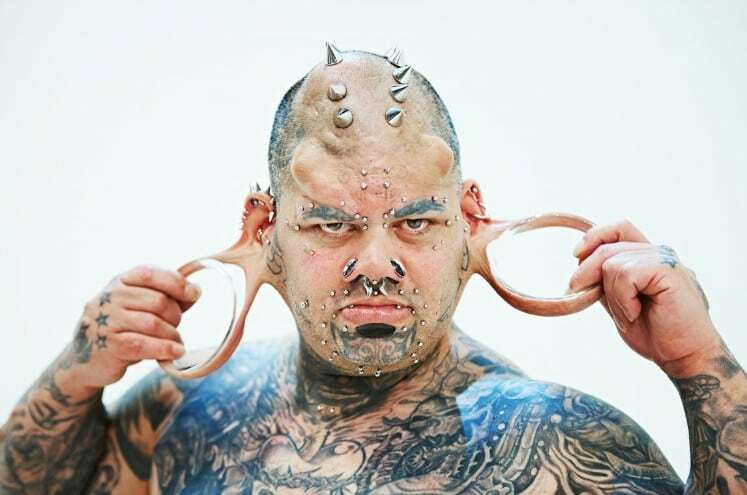 Kalawelo Kaiwi’s earlobes made the record for the largest flesh tunnel for having 4.13 inches size. This woman has a rather sad story. 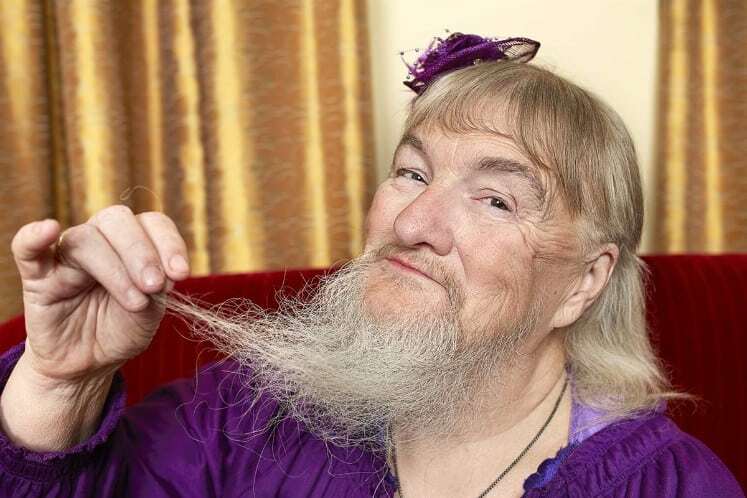 She is known as the “Bearded Lady,” and although she holds the longest beard for women, which she learned to be proud of, as a kid she was sold to a circus. 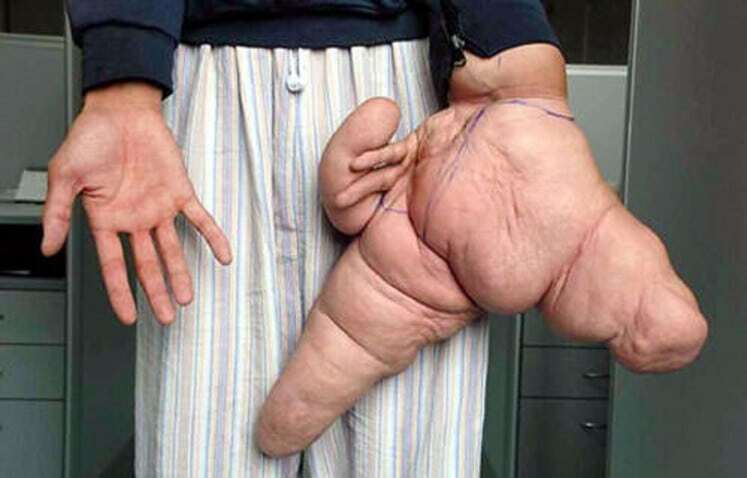 His left thumb is 10.2 inches big and his index finger about 12 inches. And it took several doctors and seven hours to perform surgery to somehow reduce the size of his hand.